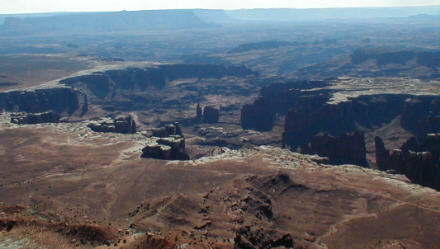 Canyonlands is among the least developed national parks, and among the most consistently beautiful. 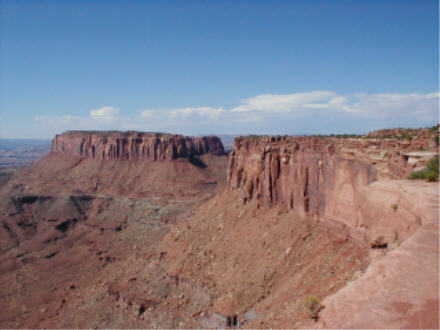 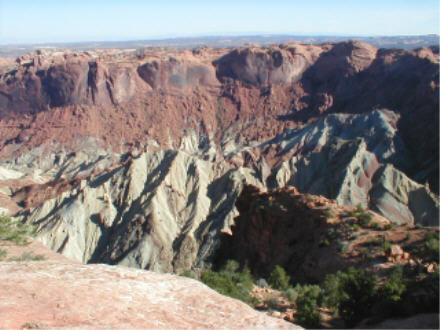 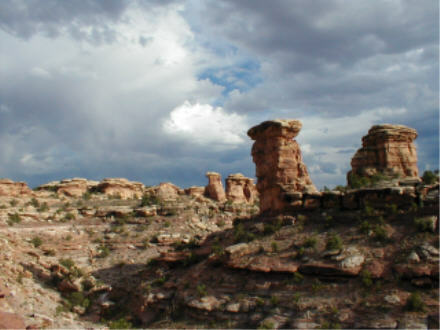 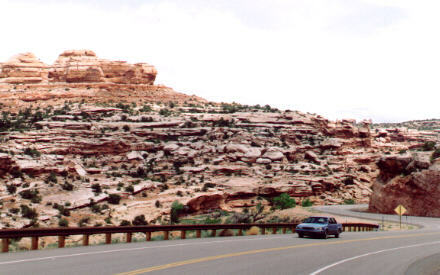 Only two of its three districts are accessible to ordinary motor vehicles: the ISLAND IN THE SKY district, just west of Arches National Park, and the NEEDLES district, accessible from SR 211, an hour south of Arches on U.S. 191. 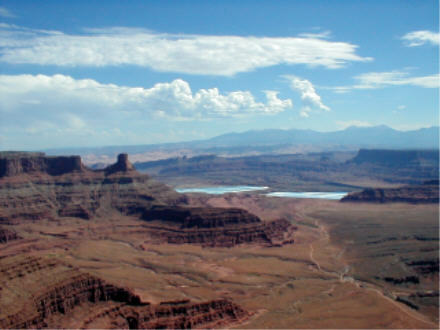 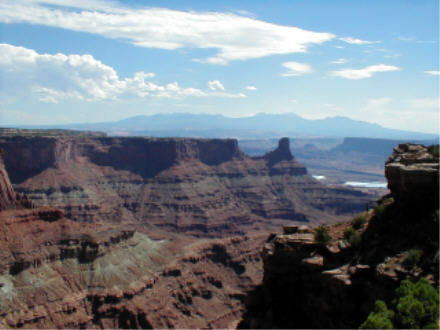 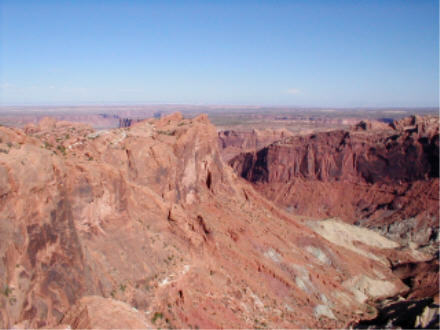 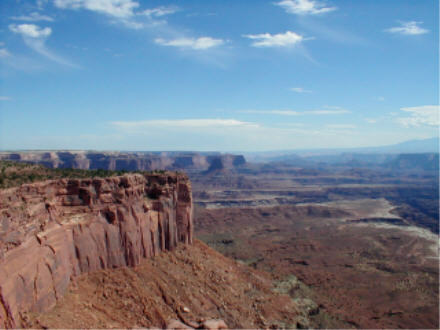 Both districts provide stunning views of the canyons carved by the Green and Colorado Rivers: Grand View Point at Island in the Sky is especially impressive, though the best single view lies just outside the national park at Dead Horse Point State Park. 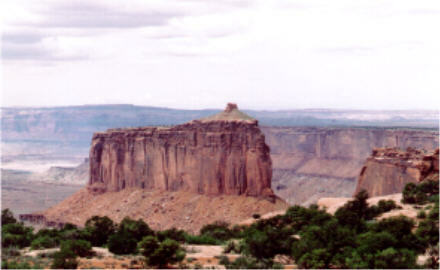 Bring a high-clearance, four-wheel-drive vehicle if possible at Island in the Sky, properly equipped vehicles can descend a quarter mile below the main road for a 100-mile loop drive along the rim of the "island," and a similar road at the Needles leads to a point directly above the confluence of the Colorado and Green Rivers. 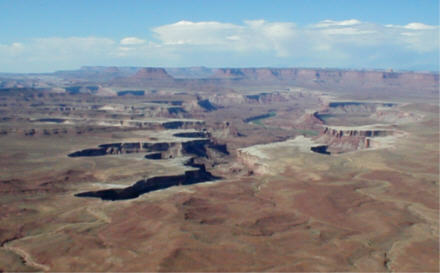 Near Canyonlands National Park. 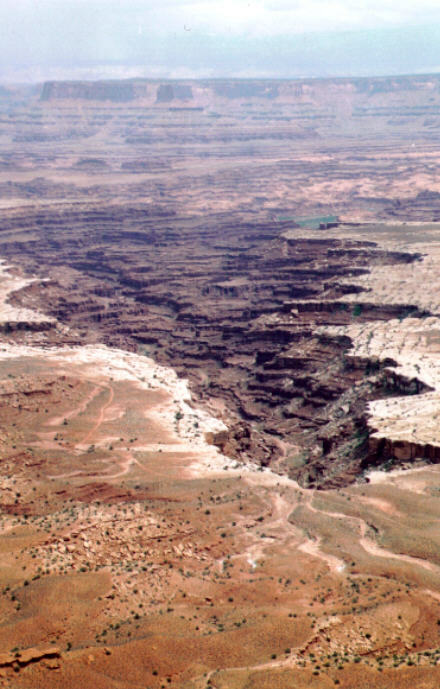 Erosion, anyone? 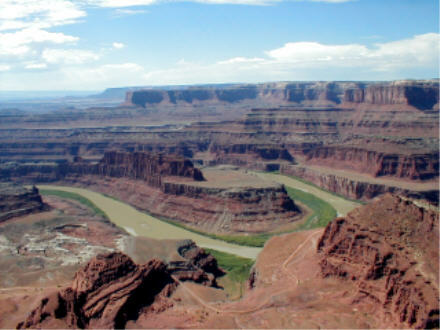 Better yet, bring a boat and enjoy the canyons from water level. 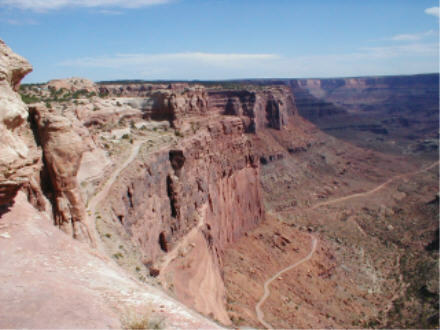 But even a sedentary road tripper on the rim will enjoy an hour of jaw-dropping beauty.